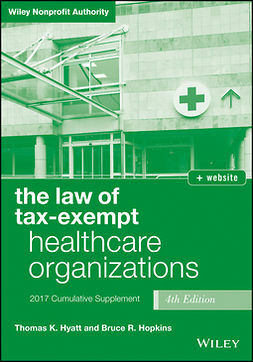 Recent scandals in the charitable sector as well as the adoption of a myriad of nonprofit best practices and guidelines have created a need and demand for better governance of nonprofits. 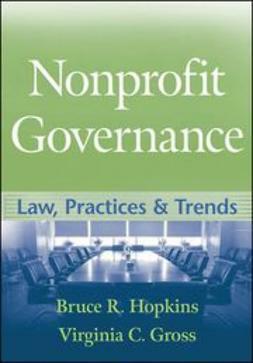 In Nonprofit Governance, renowned author Bruce R. Hopkins and his law partner, Virginia Gross, share their combined decades of legal expertise to provide a comprehensive, authoritative examination of the law, practices, and trends of nonprofit governance. 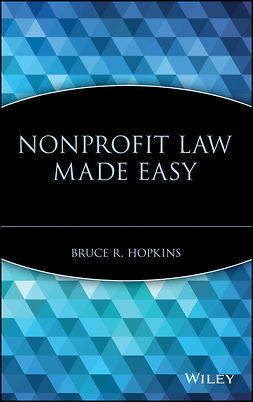 Nonprofit Governance is a must-read for anyone facing good governance decisions in a nonprofit organization and is lost in the maze of conflicting principles, ever-increasing policies and procedures, murky law, and the intensity of the IRS in insisting on adoption of various principles in the absence of legal requirements for them.